When was Europe transformed from a land of forests to its current land-cover mosaic? The answer to this question requires a long-term perspective, for which pollen analysis is well suited. In this Leverhulme-funded project (2011-2015) the pseudobiomisation approach, which assigns pollen types to different land cover classes, was developed and refined. After testing and calibration, the pollen-based method was applied to over 800 sites from the European Pollen Database. We then generate Europe-wide land cover maps at 200-year time steps, from the time of the first farming communities 9000 years ago to the present-day. Neil Roberts is Professor of Physical Geography at the University of Plymouth. His research emphasises past climatic and environmental change since the time of the last glacial maximum, specifically derived from lake-sediment archives. He has worked extensively in eastern Africa, the Mediterranean and West Asia, often with close links to archaeology. Since 1993 he has directed a series of field programmes in Turkey. He is author of the key text, the Holocene (3rd ed. 2014), and is an editor of the journal Quaternary Science Reviews. He has served on many national and international committees concerning past global changes, including the National Academies Committee on Surface Temperature Reconstructions for the Past 2,000 Years, set up at the request of the US Congress in 2006. Ralph Fyfe is an Associate Professor (Reader) in Geospatial Information at University of Plymouth. 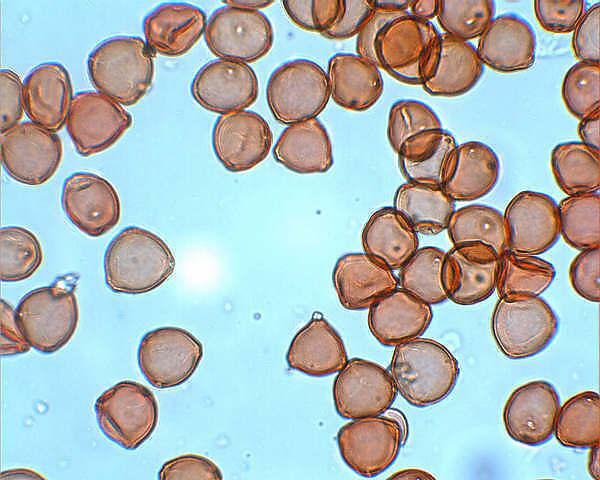 His research is centred on environmental change and archaeology through the Holocene, predominantly (but not exclusively) through pollen-analytical methods. His work primarily focuses on Europe, working on projects in Britain and Ireland, Scandinavia and Italy. He was been a member of the Nordforsk-funded POLLANDCAL (POLlen-LANDscape CALibration) and LANDCLIM (Land-climate interactions) networks, and is currently coordinating efforts to generate state-of-the-art knowledge of Europe-wide Holocene land cover as part of the Past Global Changes LANDCOVER6K working group. Woodbridge, J., Fyfe, R.M., Roberts, N., Downey, S., Edinborough, K. and Shennan, S. (2014) The impact of the Neolithic agricultural transition in Britain: a comparison of pollen-based land-cover and archaeological 14C date-inferred population change. Journal of Archaeological Science. 51, 216-224. European forests were established during the early Holocene and since this time the continent has been transformed into a mosaic of different land cover types, some of which are agricultural, others semi-natural. While climate and ecological dynamics control the broad distribution of species and vegetation communities across Europe, its transformation to a domesticated state has been caused – above all – by human activities (Roberts, 2014). The starting point for this transformation from urlandschaft to cultural landscapes was the emergence of Neolithic farming, which can be traced archaeologically to around 9000 years ago in south east Europe, and which reached north west Europe by the mid-Holocene. During subsequent millennia, forests were cleared and grasslands ploughed up to make way for agricultural land, although land-cover change took place at a different pace and with contrasting consequences in different regions. Potential natural vegetation of Europe and European Pollen Database sites, and remaining forest cover and spread of Neolithic farming. The pseudo-biomisation pollen-based method has been tested in a pilot study for the British Isles, in which individual samples from 14C-dated pollen records were placed into one of ten Land Cover Classes (LCCs): three woodland classes (coniferous, deciduous, wet/carr), three open ground (pastoral/meadow, arable, heath) and four semi-open, and also given affinity scores based on landscape openness. The results for 20 pollen sequences across two regions of the UK, northwest Scotland and south-west England, are presented in Figure 2. Regional affinity scores are calculated by taking an average score from each site in 200 year time-slice intervals. Comparison of the scores across all sites demonstrates similar trends. At 8000 cal. BP affinity scores generally exceed +20, mainly in the deciduous woodland LCC, and remain in this class until at least c. 6000 cal. BP. After ~6000 cal. BP affinity scores show a general decline, indicative of the increasing importance of open LCCs. This decline in affinity scores is rarely linear, and accelerated decreases in scores appear to cluster in phases around 6000–5200 (early Neolithic), 4700–4500 (mid–late Neolithic), 3700–3300 (early Bronze Age, south-west England only), 2700–2000 (late Bronze Age–Iron Age) and 1000–500 cal. BP (Medieval), although not all declines are recorded in all sites. The latter half of the Holocene is marked by increasing difference in the scores between sites, which suggests different parts of the landscape had different trajectories of change through the mid to late Holocene. Maps of continental-scale land cover are utilised by a range of diverse users but whilst a range of products exist that describe present and recent land cover in Europe, there are currently no datasets that describe past variations over long time-scales. User groups with an interest in past land cover include the climate modelling community, socioecological historians and earth system scientists. Europe is one of the continents with the longest histories of land conversion from forest to farmland, thus understanding land cover change in this area is globally significant. This study applies the pseudobiomisation method (PBM) to 982 pollen records from across Europe, taken from the European Pollen Database (EPD) to produce a first synthesis of pan-European land cover change for the period 9000 BP to present, in contiguous 200 year time intervals. The PBM transforms pollen proportions from each site to one of eight land cover classes (LCCs) that are directly comparable to the CORINE land cover classification. The proportion of LCCs represented in each time window provides a spatially aggregated record of land cover change for temperate and northern Europe, and for a series of case study regions (western France, the western Alps, and the Czech Republic and Slovakia). At the European scale, the impact of Neolithic food producing economies appear to be detectable from 6000 BP through reduction in broad-leaf forests resulting from human land use activities such as forest clearance. Total forest cover at a pan-European scale moved outside the range of previous background variability from 4000 BP onwards. From 2200 BP land cover change intensified, and the broad pattern of land cover for preindustrial Europe was established by 1000 BP. Recognising the timing of anthropogenic land cover change in Europe will further the understanding of land cover-climate interactions, and the origins of the modern cultural landscape. Broad-leaf forest has declined throughout the Holocene across Europe since the emergence of Neolithic farming around 9000 years ago (before present or BP). The animation shows fossil pollen-inferred changes in the extent of broad-leaf forest across the continent in 200 year time steps. The reconstruction has been synthesised from 982 pollen records from the European Pollen Database (Leydet, 2007-2015) using a pseudobiomisation approach and spatial interpolation between sites. Since the emergence of Neolithic farming around 9000 years ago (before present or BP), arable and disturbed land has spread across Europe. This animation shows changes in the extent of arable and disturbed land across the continent in years BP, every 200 years. The reconstruction has been compiled from almost one thousand pollen sites in the European Pollen Database using a pseudobiomisation approach with spatial interpolation between sites. This gives a broad scale approximation of land use change through time, although percent values do not reflect absolute vegetation cover. The fact that individual pollen sites don’t cover all time windows means that there is a degree of ‘flickering’ through time as different sites disappear and reappear. Despite this, a major increase in open land is clearly evident, linked primarily to farming and other human activities. Woodbridge, J.Â Roberts, C.N. and Fyfe, R.M. (in press) Vegetation and land-use change in northern Europe during Late Antiquity: a regional-scale pollen-based reconstruction. Environment and society during the long Late Antiquity: Late Antique Archaeology Journal. Roberts, N., Fyfe, R.M., Woodbridge, J., Gaillard, M.J., Davis, B.A.S., Kaplan, J.O., Marquer, L., Mazier, F., Nielsen, A.B., Sugita, S., Trondman, A.K. and Leydet, M. (2018) Europe's lost forests: a pollen-based synthesis for the last 11,000 years. Scientific Reports. 716. Ruddiman, W.F. Fuller, D.Q., Kaplan, J.O., Ellis, E.C., Kutzbach5, J.E., Vavrus, S.J., Tzedakis, P.C., Roberts, C.N., Fyfe, R.M., He, F., Lemmen, C. and Woodbridge, J. (2016) Late Holocene Climate: Natural or Anthropogenic? Review of Geophysics. 54, 93-118. Fyfe, R.M., Woodbridge, J. and Roberts, N. (2015) From forest to farmland: pollen-inferred land cover change across Europe using the pseudobiomisation approach. Global Change Biology. 21, 1197-212. Woodbridge, J., Fyfe, R.M. and Roberts, N. (2014) A comparison of remote-sensed and pollen-based approaches to mapping Europe's land cover. Journal of Biogeography. 41, 2080-2092. Woodbridge, J., Fyfe, R.M., Roberts, N., Downey, S., Edinborough, K., and Shennan, S. (2014) The impact of the Neolithic agricultural transition in Britain: a comparison of pollen-based land-cover and archaeological 14C date-inferred population change. Journal of Archaeological Science. 51, 216-224. Fyfe, R.M., Roberts, N., and Woodbridge, J. (2010) A pollen-based pseudo-biomisation approach to anthropogenic land cover change. Holocene. 20, 1165-1171.